NC Plant Conservation & Beyond: Mountain Sweets - Almost Gone? 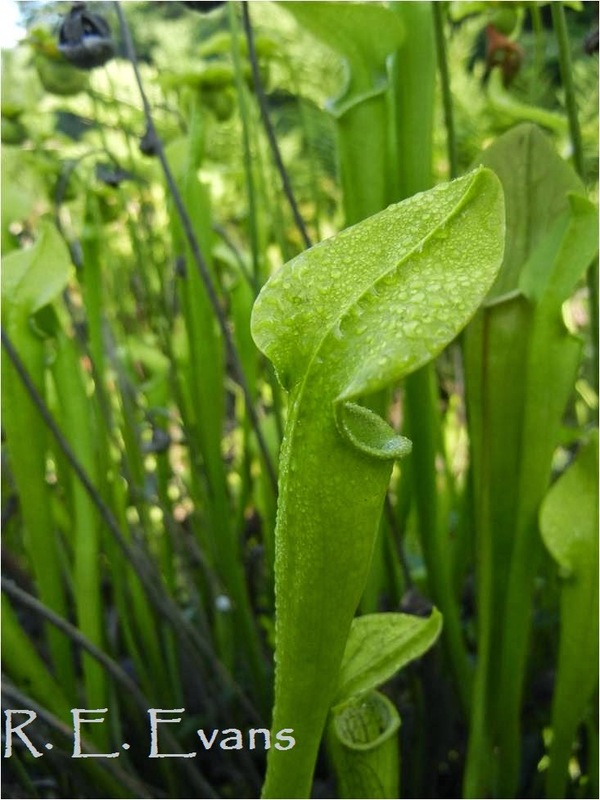 One of the sweetest plants to find in the Southern Appalachians, perhaps, because it is one of the most unexpected, is the trumpet-like pitcher plant known as Sarracenia jonesii. With a natural range centered on Henderson County, NC this carnivorous plant is a relatively narrow endemic just barely ranging into South Carolina. 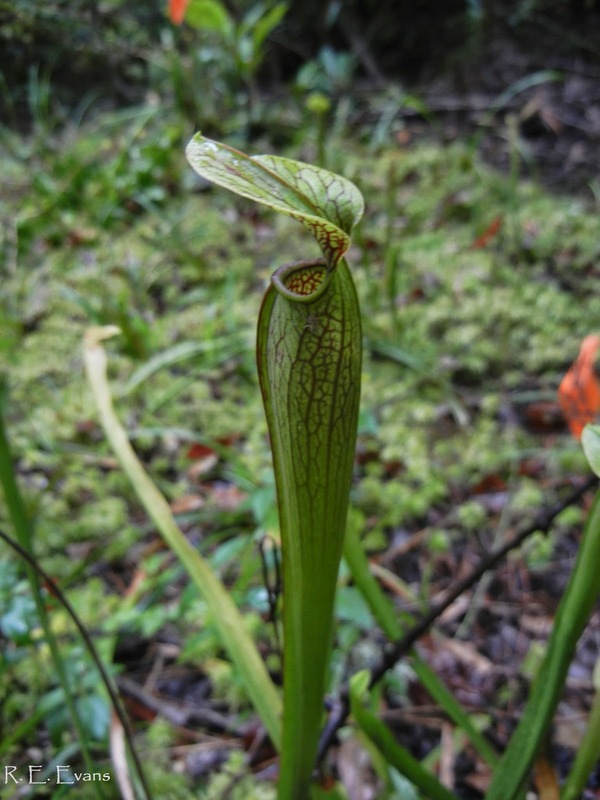 In a region most noted for forests, this pitcher plant inhabits small wetland pockets often referred to as "mountain bogs". 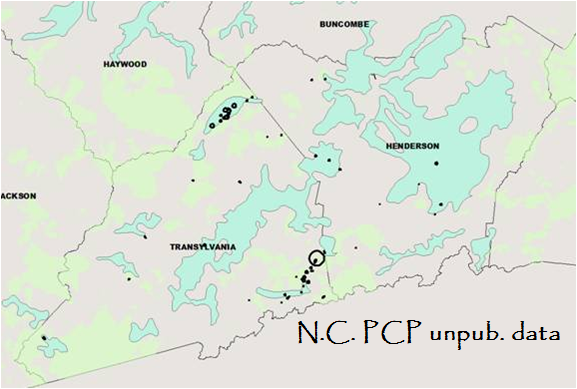 Range map for Sarracenia jonesii in NC; "extirpated" refers to sites formerly known to support the species but lost for one reason or another, while "extant" refers to naturally occurring populations still present, unless indicated as "extant-introduced" which are sites created by planting in a non-naturally occurring site. Only three naturally occurring populations remain in North Carolina. 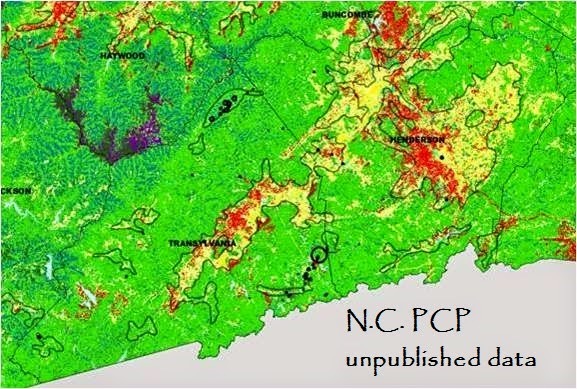 A quick review of the distribution map tells a tale of substantial decline, in which most of the known, naturally occurring sites have been lost. In 1986, the USFWS listed the plant as endangered. What happened to cause the decline and create the need for federal listing? Like many areas of the country, wetlands in this part of NC have not fared well. The first map below portrays the predicted extent of historical wetlands in the heart of the Mountain Sweet range (polygons shaded light blue). The second map illustrates those same wetland areas with the current land use depicted; bright red and yellow colors show heavily altered or otherwise developed areas. A comparison of the two gives a clear illustration that substantial wetland area has either lost or heavily altered. In addition to habitat loss, other Mountain Sweets have been lost due to poaching and over-collection by hobbyists. 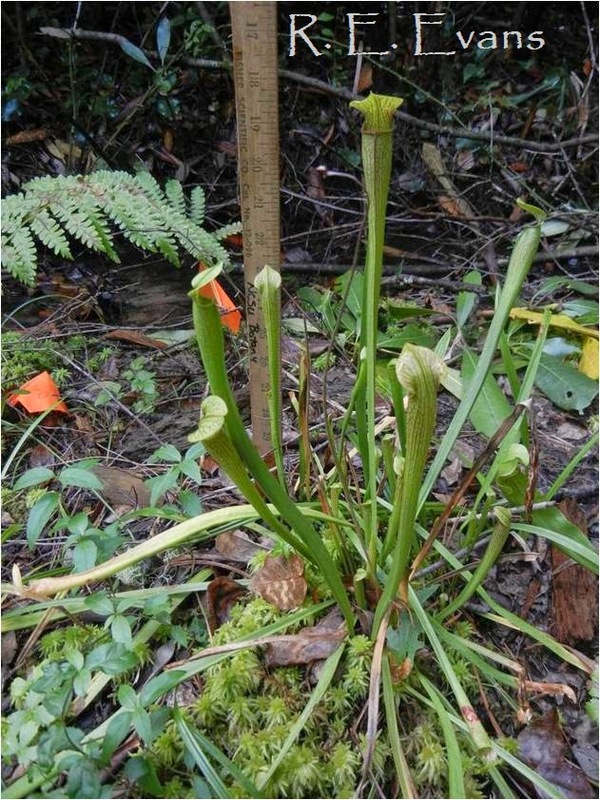 An example of this phenomenon is the extirpation from the wild of a "green race" of Sarracenia jonesii. There still appears to be ample pressure collecting pressure on the few remaining native populations. Must we have every species in our gardens?